Karen Watchman is a Senior Lecturer at the University of Stirling who works with people with learning disabilities and their families in both practice and academic settings, including as Chief Executive of Down's Syndrome Scotland. Her recent research includes producing accessible information for people with a learning disability and dementia, which she spoke about to delegates of Learning Disability Today 2018. How can we recognise dementia in people with learning disabilities – what are the signs? Dementia affects everyone differently. It is important to remember that for people with a learning disability, just like anyone else, different types of dementia affect different parts of the brain initially, so this will lead to different changes in behaviour. Often in a person with a learning disability this is a subtle change and is not obviously a change in memory as is often assumed. For example, we sometimes see someone having difficulty with stairs, steps, or stepping up and down the kerb crossing the road which is due to a change in 3D perception. A change in daily living activities or routines should always be investigated. "The difficulty in making a diagnosis of dementia in people with a learning disability reinforces the importance of knowing the person before these changes happen". What are the most important factors to consider when understanding and responding to these signs? Not to make assumptions that changes mean the onset of a type of dementia. We know that there is an increased risk of dementia for people with Down’s syndrome at an earlier age, but changes may instead be associated with menopause, depression, sight, hearing difficulties, or an increase in pain or a physical condition (to name just a few). The difficulty in making a diagnosis of dementia in people with a learning disability reinforces the importance of knowing the person before these changes happen. Knowing how pain is communicated, whether verbal or not, knowing typical communication, and knowing an individuals usual and preferred routine is important to be able to monitor any change – anyone can do this, often family or consistent staff members will know the person best. What are some of the challenges faced by people with learning disabilities and dementia? Not being included in decisions about care and treatment is a major challenge. 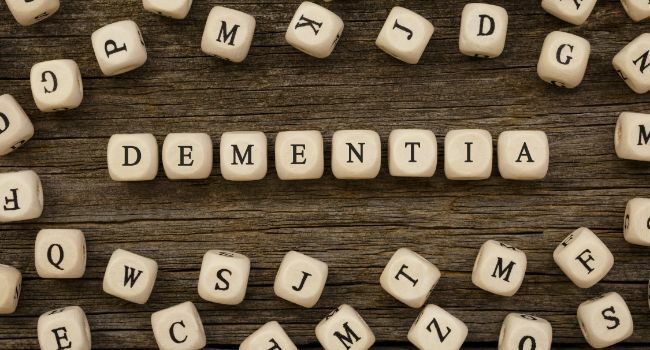 In some cases, this extends to not having a diagnosis of dementia shared in any format, whether using the term dementia, or whether using non-verbal communication. Without such an explanation of changes that are being experienced, conversations about future support cannot take place. This was why Jenny’s Diary was developed, a free pictorial resource to support conversations about dementia. What are the golden rules for staff and volunteers working with people with learning disabilities and dementia? To see and respond to the individual person, not let a diagnosis, or suspected diagnosis, overshadow everything else. It is also important to look for other health or sensory changes that are unconnected to dementia, but require treatment. A further golden rule is to make sure that medication is regularly reviewed by the person's GP; this is for all medication, not just treatment for dementia if this is prescribed. It is crucial that medication is prescribed at the right dose and only for as long as it is effective. Too often behavioural changes are attributed to dementia, without checking if medication could be a contributory factor. How will this new publication help to promote effective support for people with learning disabilities and dementia? The original Supporting Derek has been available since 2010 and was the first resource to focus specifically on dementia in people with a learning disability. We know it has been effective in informing people with a learning disability, staff, volunteers, students, and families and is still widely used. The short film is now more accessible and can be downloaded with an option to buy a training pack including handouts, PowerPoint presentation, and trainer guide. The updated resource means that more people than ever will be in a position to support an ageing population of people with a learning disability if they also have dementia. Read more about Karen's work on her website.